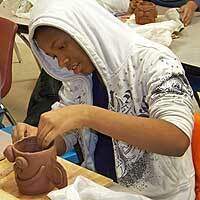 We foster the creation, dissemination, evaluation and improvement of arts integration programs. We provide information and experiences to teachers and teaching artists that empower them to engage their students in learning curricular content for the twenty-first century and beyond. Demonstration Teaching: Our teaching artists work with your students so teachers can witness the effectiveness of arts integration. Arts-Integration Residency: Partnering with teachers, our teaching artists help plan and team-teach arts-integrated units of a week or longer. 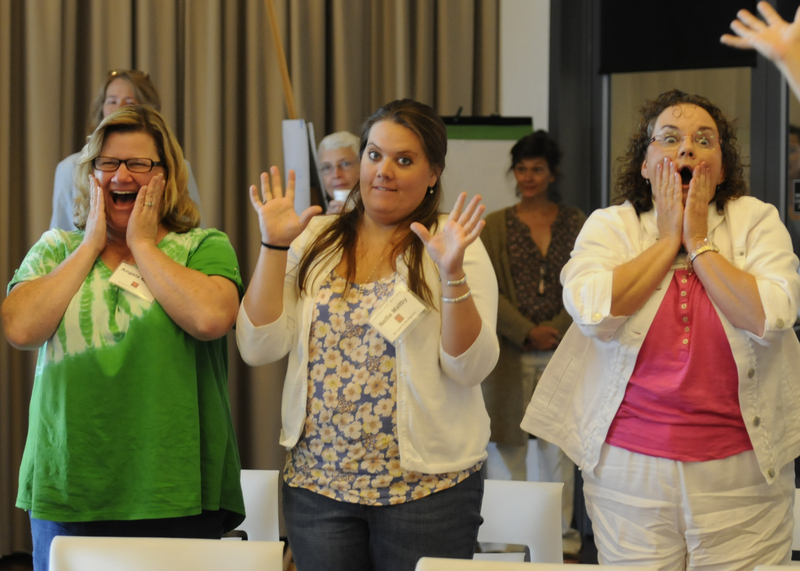 Teachers concentrate on holding their rhythm in Beverly Botsford’s poetry and percussion workshop. Photo by Alan Cradick. encourage reflection that leads to new ways to think about and practice teaching. 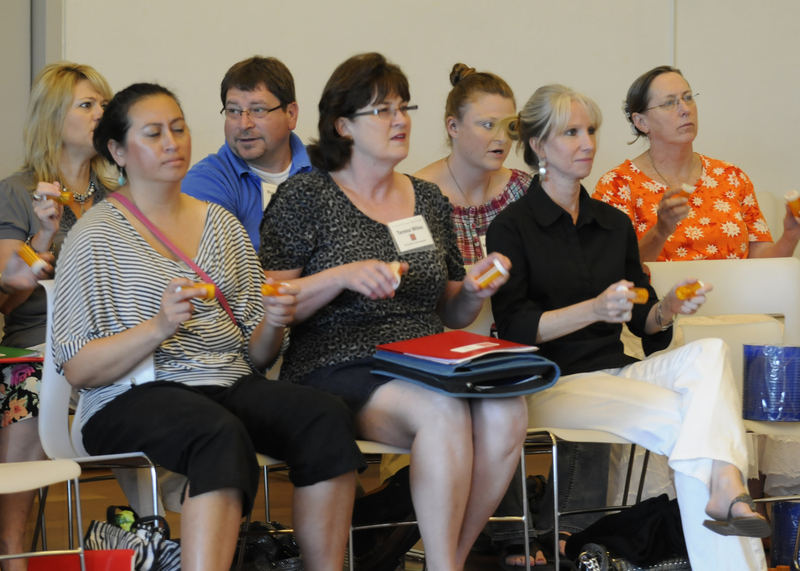 Beverly Botsford teaches teachers contrasting percussion riffs. They brainstorm words that describe the riffs and write poems using the words. Here they act out the poems. Photo by Alan Cradick. Participants actively engage in arts experiences that lead them to new knowledge. Participants reflect on what they are learning and how it fits into their current teaching. Participants move from reflection to action by collaborating with arts teachers and other specialists at their school to design curriculum-based lesson plans and build thematic units that teach complex concepts holistically. Participants share their planning with specialists and other grade-level teachers to also begin multi-disciplinary and vertical integration.